The Judicial Commission of Inquiry into allegations of State capture is expected to continue hearing the evidence of Standard Bank head of Compliance, Ian Sinton, when the inquiry resumes on Wednesday in Parktown, Johannesburg. The Commission is also expected to hear the testimony of former business rescue practitioner of Optimum coal mine, Piers Marsden. On Tuesday, the Commission set aside a request from Regiments Capital to postpone Sinton’s testimony for 30 days. Sinton said the bank terminated its relationship with Regiments Capital following suspicious transactions between Transnet, McKinsey and Regiments. He confirmed that Regiment was sharing its fees from Transnet with Gupta Associate, Salim Essa. Sinton further confirmed that Regiments also paid millions of its fees to Gupta-linked Companies Chivita and Homix. Regiment had received over a R100-million in business from Transnet in 2014. 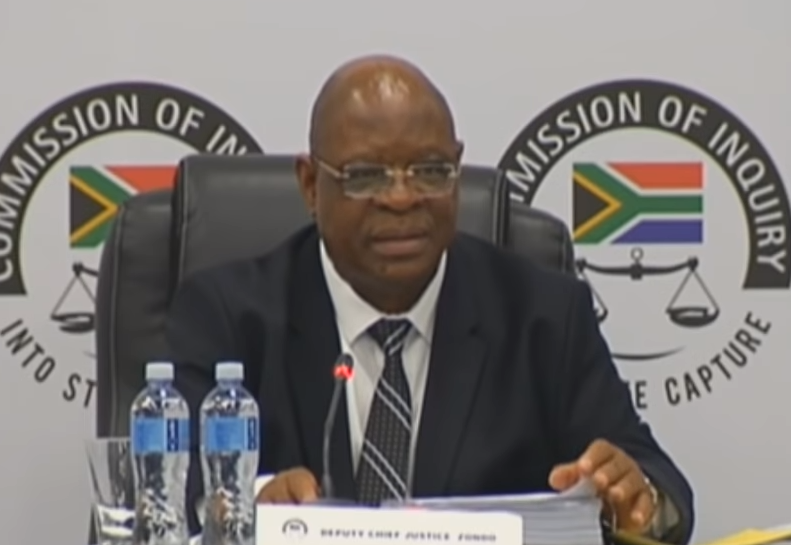 The post State Capture Commission continues appeared first on SABC News – Breaking news, special reports, world, business, sport coverage of all South African current events. Africa's news leader..